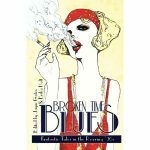 Experience the 1920s with Broken Time Blues: Fantastic Tales in the Roaring ’20s . Well, except that these 1920s tales are the stories you’ve never heard: the fantastic, the strange, and the downright impossible. My story Fight Night is included in this wonderful collection edited by Jaym Gates and Erika Holt. Released by Absolute X-Press (the same blokes that brought you Women of the Apocalypse). Pick it up on Amazon — and you’ll be awed by my tale of Jack Dempsey, the heavyweight champ of the world. The official description: No blind tigers or poisonous coffin varnish here! Broken Time Blues is a classy establishment, see? The cat’s meow. So toss on your glad rags and get a wiggle on! Make sure no one’s following you, then take a right down the alley and knock three times on the brown door. There won’t be a sign. Code word’s “applesauce.” It’s okay to get your friends hip to the jive, but hush—speakeasy. Bulls and Mrs. Grundys are always listening. Inside you’ll be entertained by twelve hotsy-totsy tales. An alien burlesque dancer; a monstrous, people eating goddess, a buried city of automatons; Picasso as a villainous, flesh-sculpting wizard; ; a fae detective; a bootlegging chicken; and more. 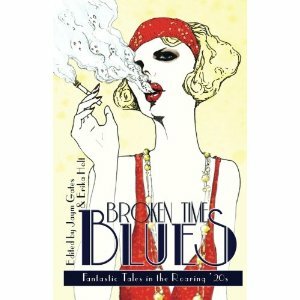 Broken Time Blues: the 1920s as you’ve never seen them before. You’ll go goofy for it.